I am loving this Everyday Tunic now only $23.99 (Reg. $43.99)! Several color options available! 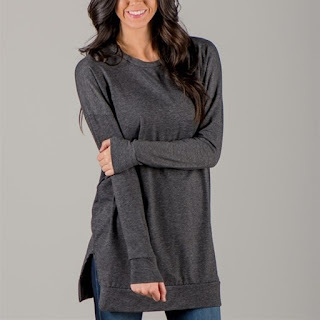 We love the basics, and this everyday tunic is a gorgeous classy look that belongs in every woman's closet. She's a great tunic length that is perfect with leggings or jeans, and features a nice fabric with just the right amount of stretch! $4.99 for the first item and $2.99 for each additional item. US only. Seller usually ships within 3 business days. Ships no later than Tue, Sep 26.